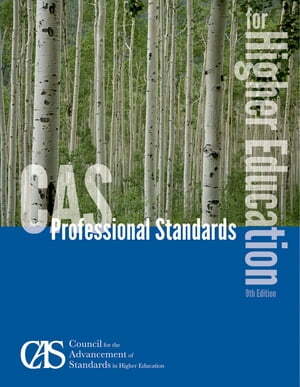 Collins Booksellers - CAS Professional Standards for Higher Education by Council for the Advancement of Standards in Higher Education, 9780985881931. Buy this book online. The CAS Professional Standards for Higher Education (9th edition) book contains 44 sets of functional area standards and guidelines. This text provides an introduction to the Council for the Advancement of Standards in Higher Education (CAS), its mission, initiatives, and the principles upon which it was founded. In addition, all of the standards have been updated to reflect the new CAS general standards. The individual functional area standards are accompanied by introductory contextual statements. The CAS Learning and Development Outcomes, the CAS Characteristics of Individual Excellence, and the CAS Statement of Shared Ethical Principles are also included. There are several noteworthy changes to the new edition, including updates and revisions to 12 sets of professional standards, and the standards for Master’s Level Student Affairs Preparation Programs.